Our annual Street Appeal will be underway on Friday 16th October. 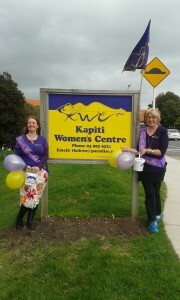 Please give generously when you see our collectors about, and if your heading down to the Paraparaumu Beach Market on Saturday watch out for our collectors there as well, fill our buckets and support our wonderful centre on the Kapiti Coast. If you miss our collectors you can donate via this website. Thanks for your support!